In light of Alvin Ailey American Dance Theater’s 45th season at New York City Center this December, Dance Informa spoke with company dancer Belen Pereyra to learn more about her journey. While Pereyra’s formal dance training began at Boston Arts Academy (BAA), she first fell in love with Caribbean dance at the age of seven. 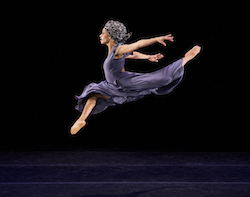 Unable to attend college due to immigration issues, Pereyra pursued her dream of becoming a professional dancer by continuing her studies at BAA and eventually moving to New York City. Pereyra then studied with Earl Mosley, apprenticed with Ronald K. Brown, and began working with Camille A. Brown & Dancers. 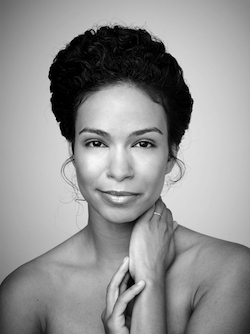 After years of participating in work-study and rigorous training at The Ailey School, she auditioned for the main company, Alvin Ailey American Dance Theater (AAADT), and became a full company member. She has now been with AAADT for five years, and in addition to her work in the company, she is pursuing a certification in the Feldenkrais Method. Belen Pereyra. Photo by Andrew Eccles. Hi, Belen! Can you tell us about your upcoming season with Ailey at City Center? Especially about your role in Ronald K. Brown’s new work, Open Door? “Ronald K. Brown was my first dream company before Ailey. It is always my pleasure to work with Ronald K. Brown. His work is fantastic, it feels good, and as an audience member it just moves you. What I love about Open Door, however, is that it has a new spin to his work. It is his vocabulary, but there’s a Latin twist to it. As a Dominican woman very much in love with my culture and my music, he has kind of fulfilled a dream of mine, which is to have Latin dance at Ailey. It was like a silly dream! And then here comes Ronald K. Brown, one of my favorite choreographers, and we have just that. We have the best of both worlds; we have a mix of his work with some salsa, with a touch of Latin. It’s a really fun piece. I think people are going to be surprised that it’s coming up at Ailey just because, like I said, it is completely different, but I’m 100 percent sure that people will enjoy it. I’m very excited for City Center. I think it’s the best time of the year for the company. We’re home, we’re surrounded by people who love our work, who’ve come for many, many years to support us. There’s no energy like City Center energy. You’ve been with Ailey for five years now. How do you work to keep yourself challenged and keep the work fresh and new? “It is a moment-to-moment challenge…or gift, they’re both the same. Inevitably, because the work is such high caliber, and season after season if you’re not up for the challenge then you fall behind…For me, I feel first I have to keep myself in check emotionally and spiritually. I love meditating. I do a ritual before performances where I meditate, where I give myself intentions, where I speak to the universe on how I would want it to go and how I want to reach people. I want to touch and heal. The work is beyond us. Yes, it’s fun, but it’s much deeper than that. We have a huge responsibility, so I give myself intentions. 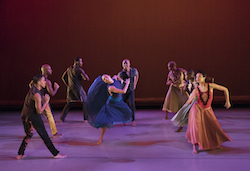 Ailey dancers in Ronald K. Brown’s ‘Open Door’. Photo by Paul Kolnik. In rehearsals, we spend a lot of time nitpicking every detail. 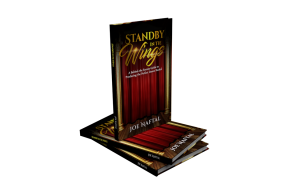 Maybe it’s the story: ‘Where can I go with this story?’ Maybe it’s the visible: ‘Where am I having difficulty?’, ‘Who can I ask for help?’, or maybe ‘Where have I seen this problem before, and how can I tackle it on my own?’ It’s like every layer. “I have so much advice! You know, life is so beautiful, and there are so many angles to it. All the stories are different, but in so many ways they’re interconnected. One of my greatest pieces of advice would be: It’s not about looking at the journey ahead as a burden…Enjoy the process and understand that you are exactly where you are meant to be. Pereyra in Ronald K. Brown’s ‘Four Corners’. Photo by Paul Kolnik. To win a pair of tickets to see Ailey’s performance of Open Door at New York City Center on Sunday, December 13, email info@danceinforma.com with the answer to this question: Who is the choreographer of Open Door? Please title the email “Ailey NYC Giveaway”. Please provide your full name, date of birth and phone number. This competition closes December 9. Enter to win now! 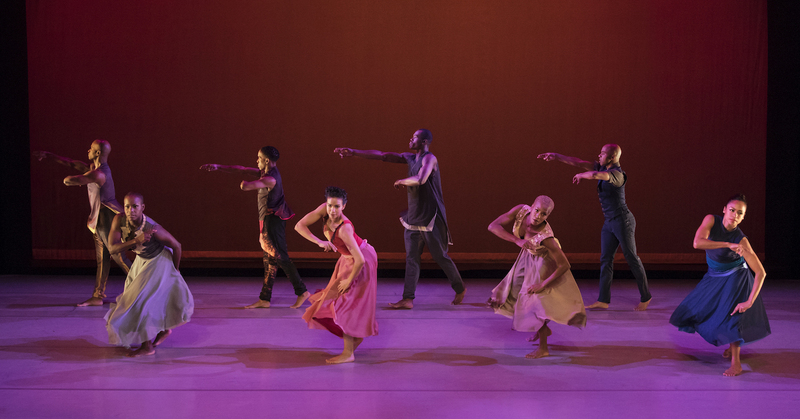 Photo (top): Alvin Ailey American Dance Theater in Ronald K. Brown’s Open Door. Photo by Paul Kolnik.